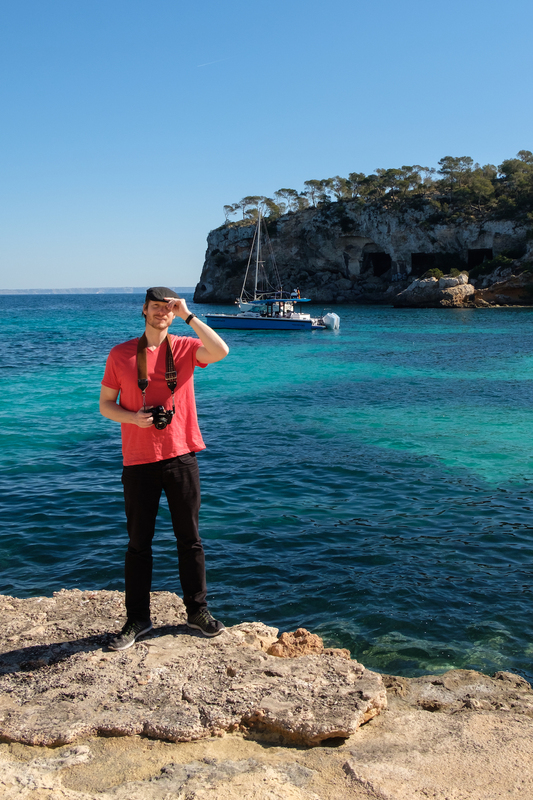 All words & photos (and video) by your Mallorca meandering guide, Ben Holbrook. 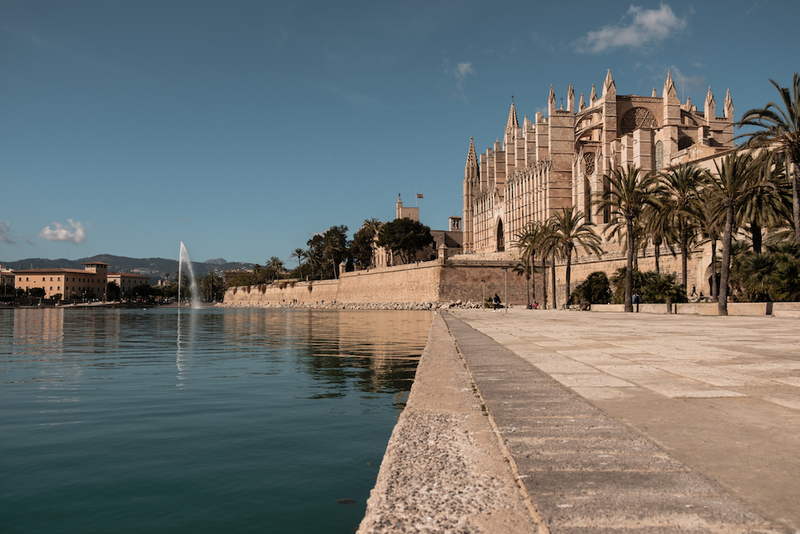 With its classy capital of Palma, honey-hued hilltop hideaways, idyllic beach coves and sleepy harbourside villages, it’s not at all difficult to see why this Balearic beauty is such a popular destination for those in search of a little romance and self-indulgence. 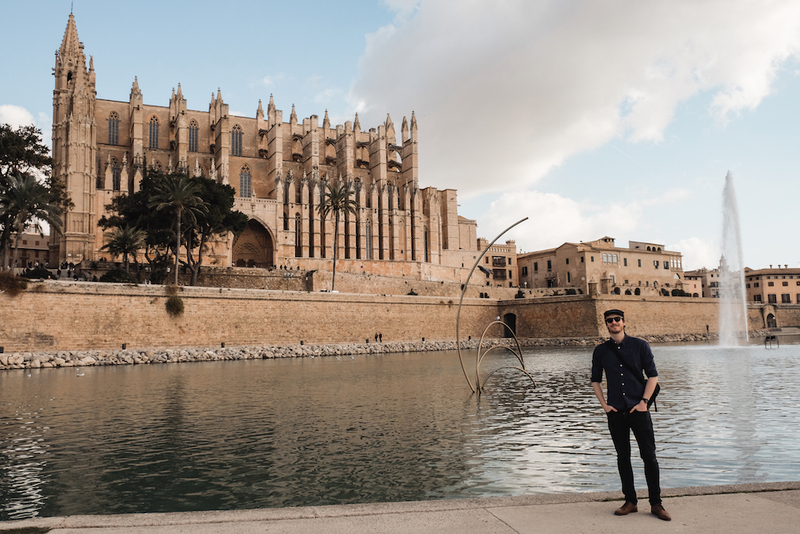 Based on my recent 3-day spring escape with my girlfriend Rosana, here are a few tips on the most romantic things to see and do in Mallorca, as well as a few thoughts on what I would suggest skipping if you’re short on time. Known by the locals as La Seu, this colossal Gothic structure dates back to the year 1229 and stands on the ruins of an Arab mosque. Go inside if you have time, although I’d argue that the best views can be enjoyed from the palm-filled Parc de la Mar that you will find to the front of the building. 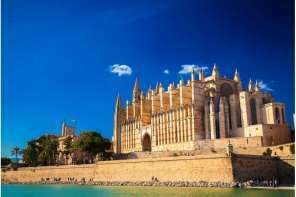 Palma is not only the capital city of Mallorca, but also the capital of the Balearic Islands. It doesn’t feel like a capital though, or even a city for that matter. No, it’s more like a large and incredibly charming village. A charming village where there seems to be a huge church, cathedral or convent on every other street. A local named Dídac mentioned to me something about there being more churches per person in Mallorca than anywhere else in Europe. I can’t find anything written about it, but I don’t doubt it’s true. 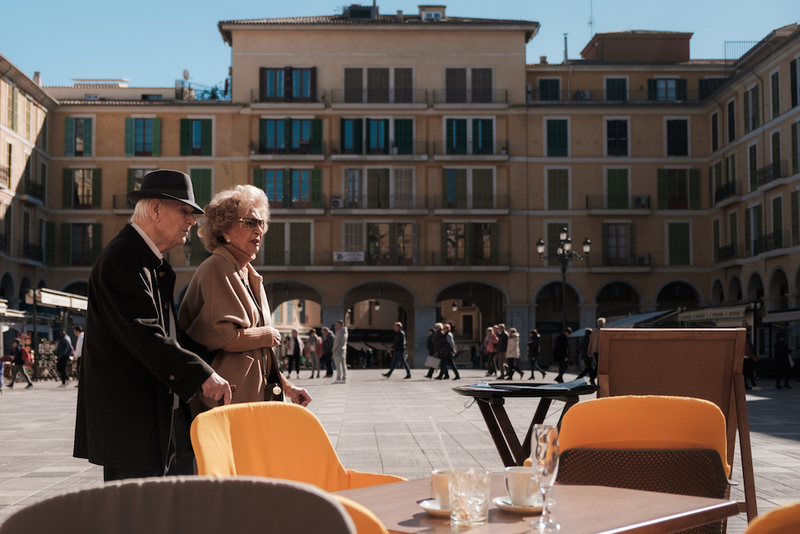 Allow yourself to get lost and you’ll stumble upon countless sunny squares filled with vino-sipping locals and the happy rumble of people with plenty of time on their hands. 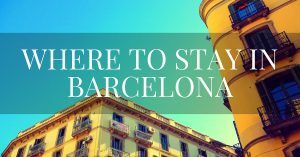 Stroll down the leafy Passeig del Born and be sure to drop a few euros on Carrer de Sant Miquel if retail therapy is your thing. 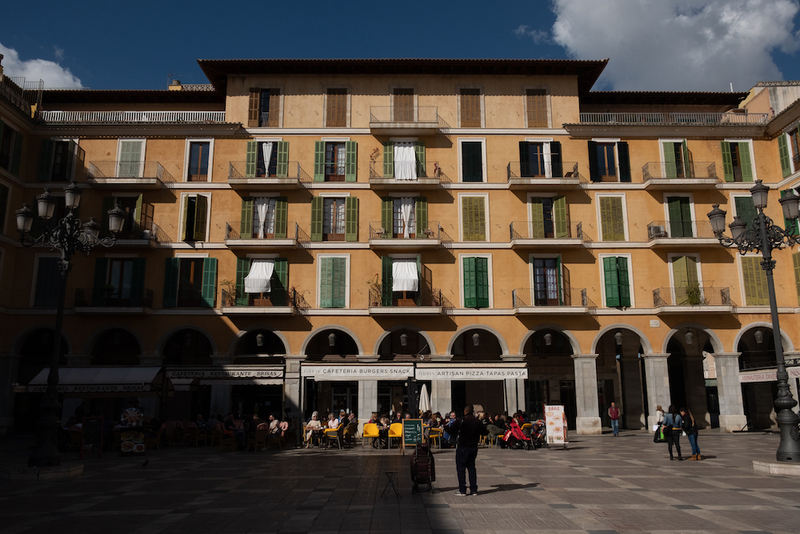 Use the colourful main square of Plaça Major as your point of reference and as a place to refuel with a vino or cerveza in the sun. One of my favourite parts of Palma is its Rambla. 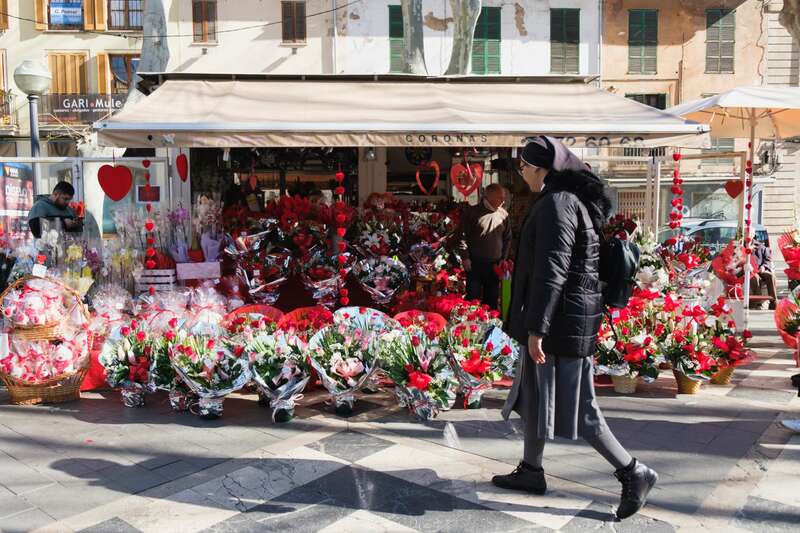 This long, tree-lined boulevard is famous for its vibrant flower stalls and reminded of how Barcelona‘s iconic Rambla used to be before it was completely taken over by tourists. Tip: While you’re in Palma, don’t miss the historic fishermen’s quarter of Santa Catalina. This colourful barrio is known for its trendy shops and dining spots and is home to the Mercat de Santa Catalina, Mallorca’s oldest food market. 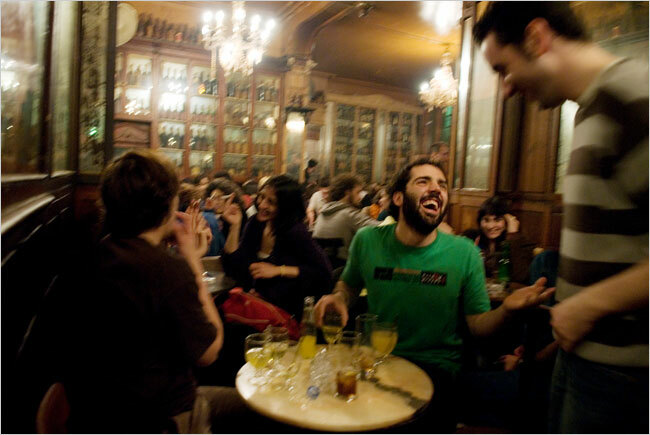 The bit you’ve all been waiting for… The highlight of any leisurely day out in Spain: lunch! 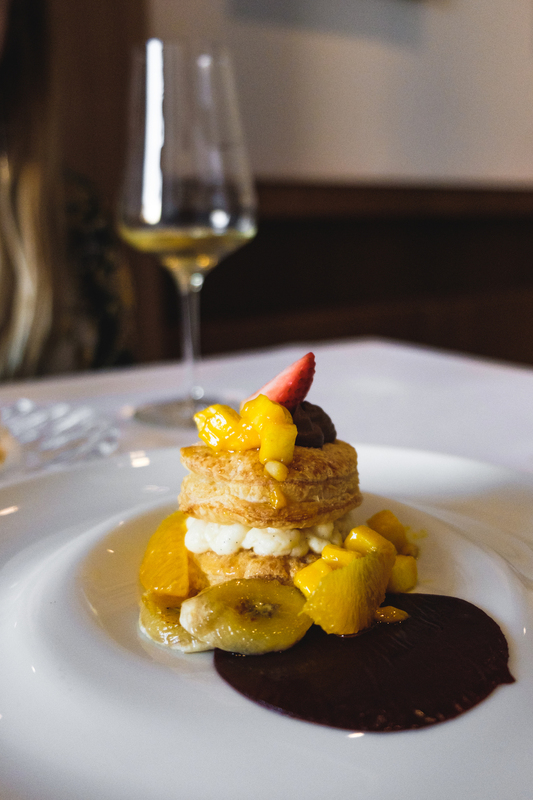 When in Mallorca, I would encourage you to make the most of Spain’s beloved ‘menu del dia’, a bargain three-course set menu with a few different options to choose between. 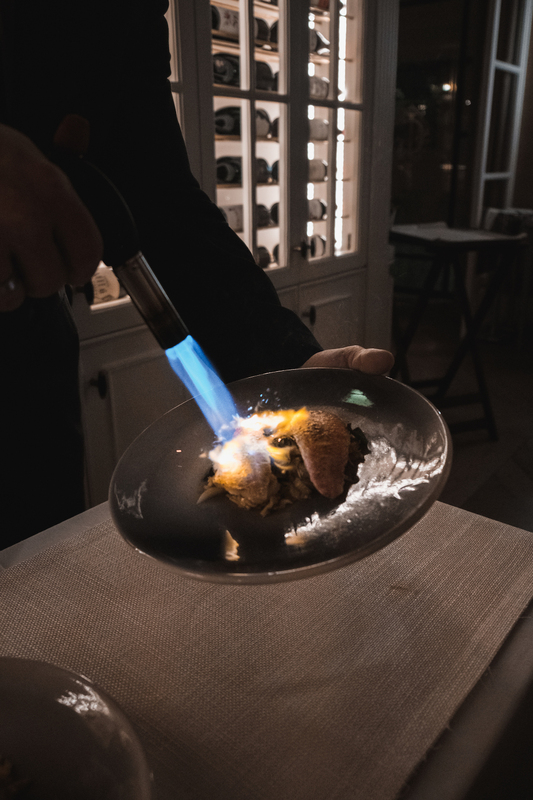 For a modern taste of authentic Mallorcan cuisine, I highly recommend the chic-but-casual Restaurant Bala Roja, which is housed in the dazzling 5-star Es Princep Hotel (much more on this below). 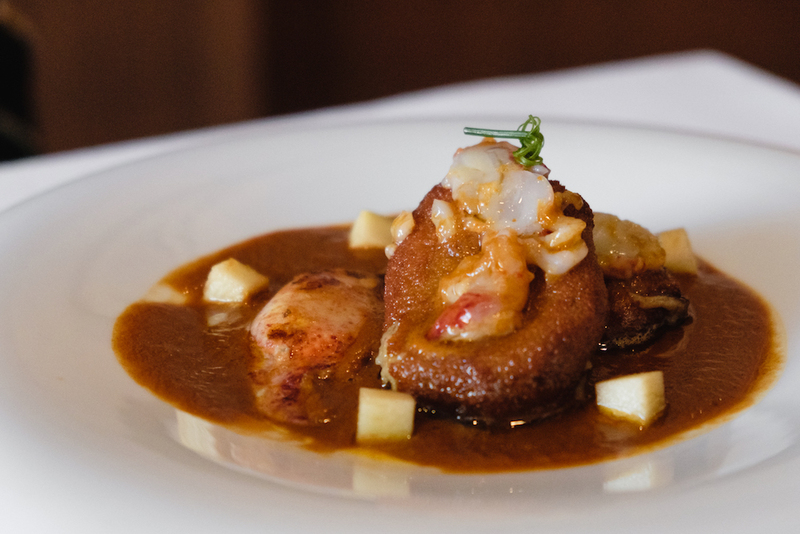 We had a spectacular meal here, each dish delivering the traditional tastes and aromas of Mallorcan cuisine but with a modern touch. The (local) wine recommendations paired perfectly with each dish and I would definitely encourage you to ask your server for suggestions. 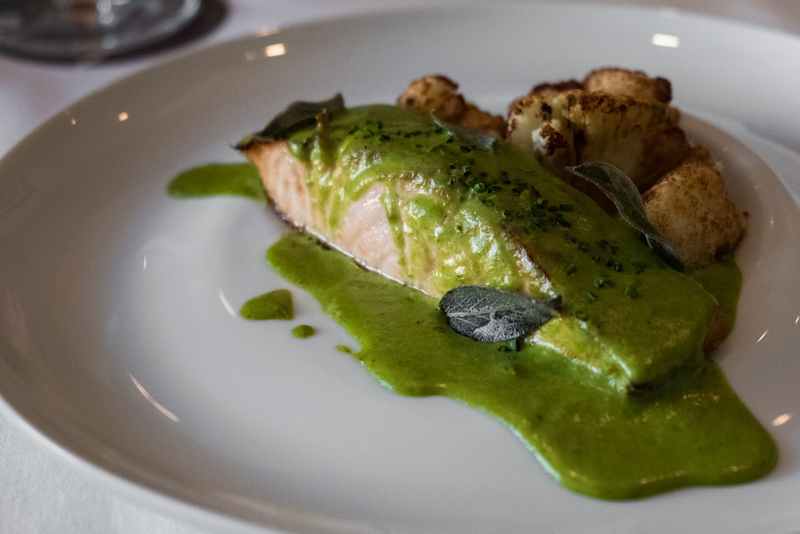 The set lunch menu is just €23.50 per person, which is absolutely outstanding when you consider the quality of the food, service and setting. Tip: Mallorca has a thriving wine producing culture. We didn’t have time but I really wanted to do this winery visit and tasting session. I envy you if you can make it happen. 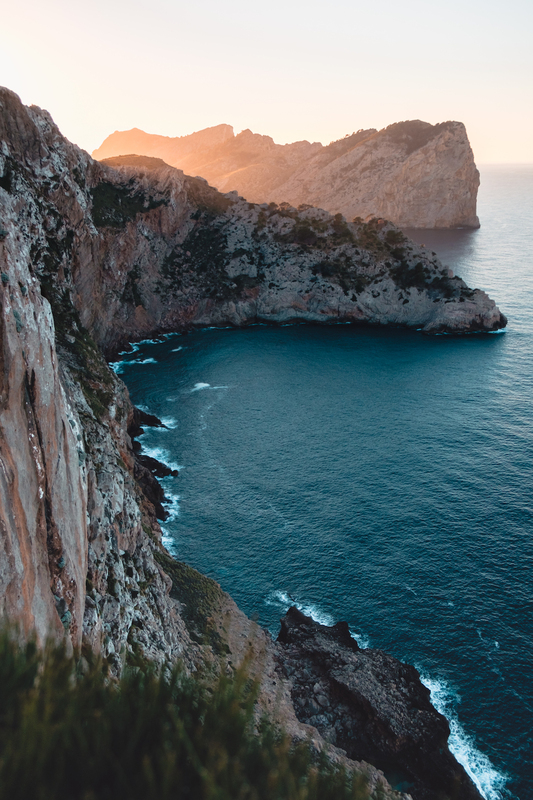 Mallorca’s craggy coastline is a dream of sapphire and turquoise waters, of bone-white sands and sticky pines. 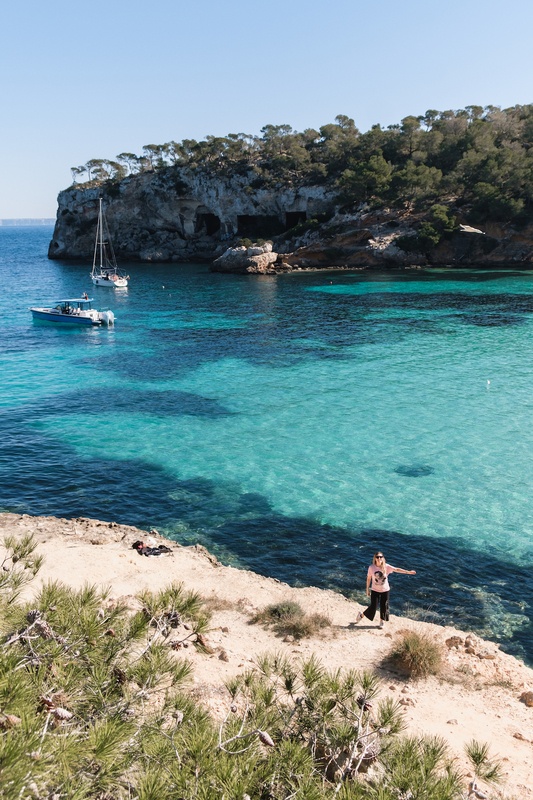 There are countless beaches to explore in Mallorca, but I would recommended seeking out one of the ‘calas’ (tiny beach coves). Cala Portals Vells was one of the main highlights of our time in Mallorca and I wish we could have spent more time there. We sat by the water and worked away at a small picnic, enjoying the sunshine and the sea air. It’s difficult to say whether the calas will be quiet or not as everyone is in search of one in the summer months. The best idea is to arrive early and mark out your territory for the day. 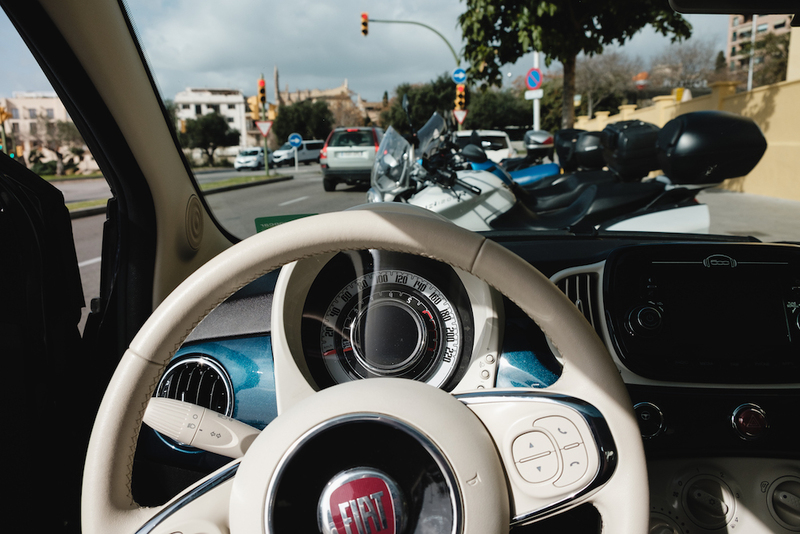 One of the great joys of life on an island like Mallorca is simply hopping in a car and hitting the road (or on a bicycle, but that’s a different kind of holiday altogether). After all, how lost can you possibly get on an island that’s only 43 miles from top to toe? 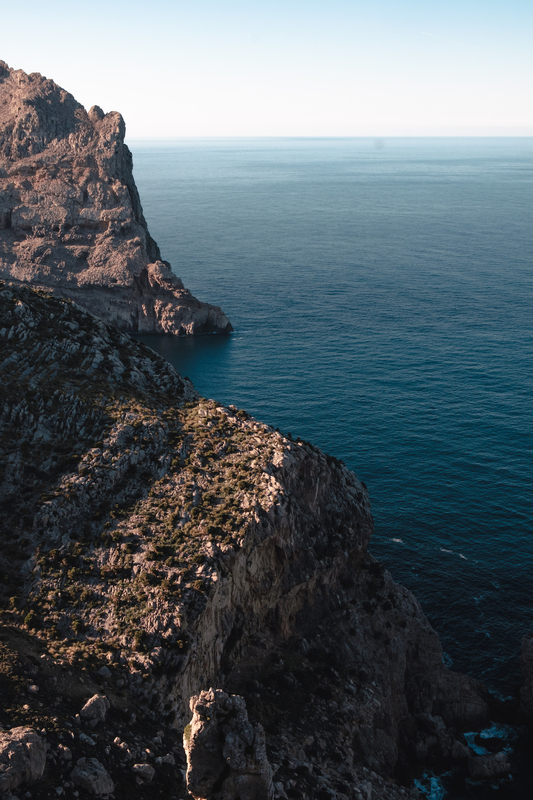 Tumbling across the island’s entire northern coast, the peaks of the Tramuntana Mountains make for a thrilling joy ride. As you approach and begin to ascend the mountains, you see just how rapidly and dramatically the landscape changes. Straight roads through meadows of willowy almond blossoms and crumbling fincas slide slowly sideways through your windscreen, replaced by narrow snaking stradas that carve their way through vertiginous clifftops carpeted in sticky pines and dusty goats. Tip: There are watchtowers, miradors and sandstone villages scattered throughout the Serra de Tramuntana, so be prepared to pull over whenever you spot somewhere that steals your attention. The tiny village of Galilea is the most elevated on the island. 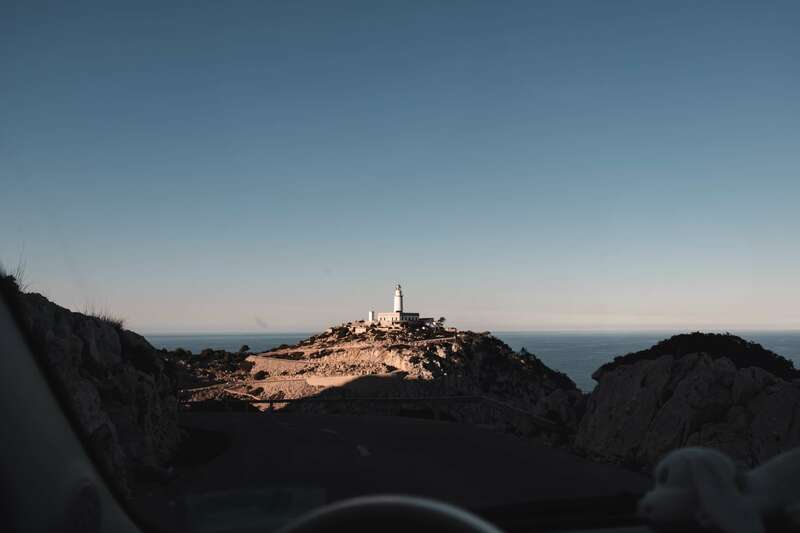 Driving in the Tramuntana mountains is the sort of driving where you don’t really need or want a final destination, but the Faro de Formentor (Formentor Lighthouse) is definitely worth heading for. The sunset here was probably the most beautiful and romantic thing we experienced in Mallorca. 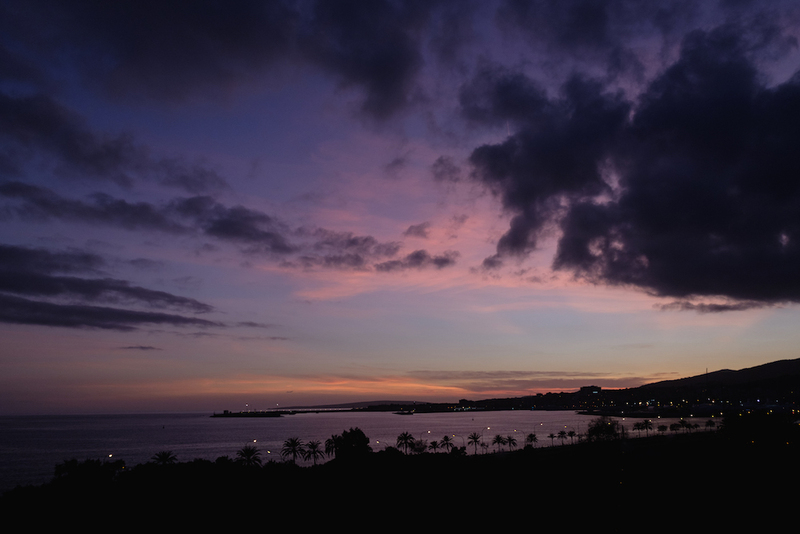 The sky falling to hues of blueberry and lilac over the cobalt sea below. The shrieks of greedy gulls riding the salt and pepper breeze. Our pool in paradise ~ the hills of Deia. I’d also recommend stopping at the ultra exclusive village of Deià, which is known for its celebrity residents and charming little restaurants. This is where I stayed on my previous visit to Mallorca, in a sprawling villa (gracias Aunty Margaret!) hidden away in an old olive grove. The little rocky beach of Cala Deià is well worth the hike down (and up) and there’s a little restaurant there overlooking the crystal waters. 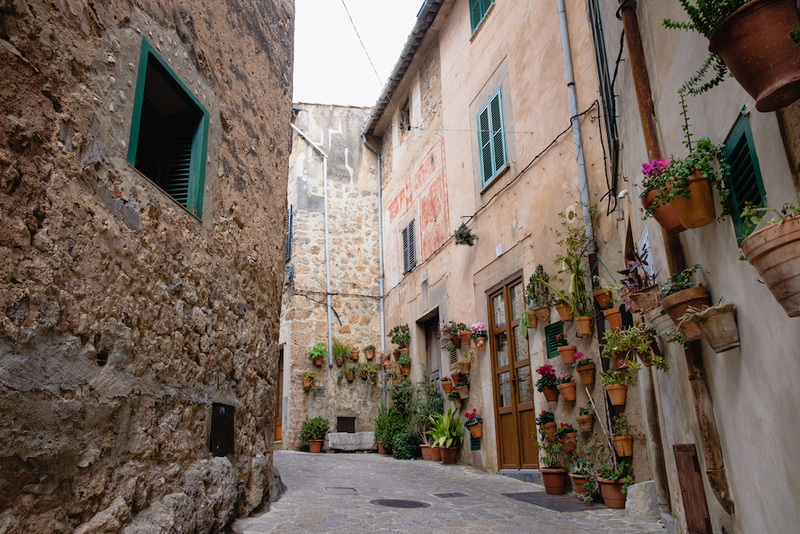 Of all of Mallorca’s cutesy little villages, Valldemossa is probably the best known. 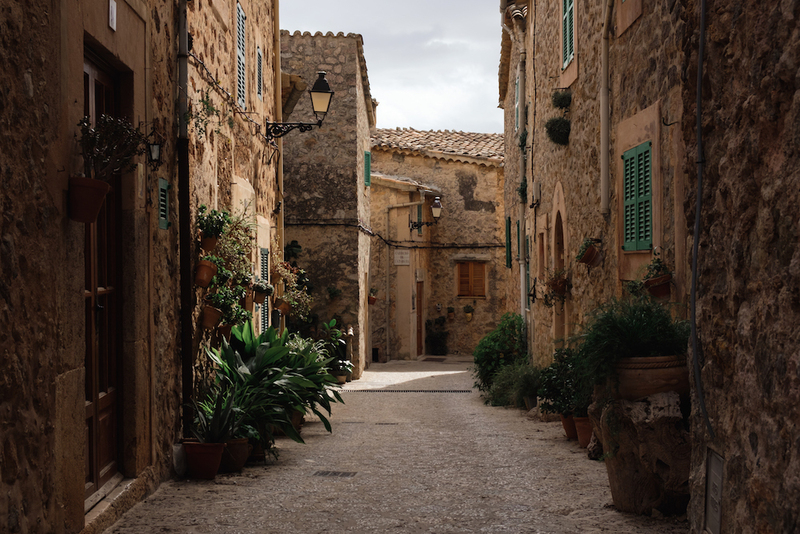 It’s nuzzled away in a lush valley of olive and almond trees and, with its butterscotch stone buildings and flowerpot-filled streets, it feels very much like an escape from the modern world. 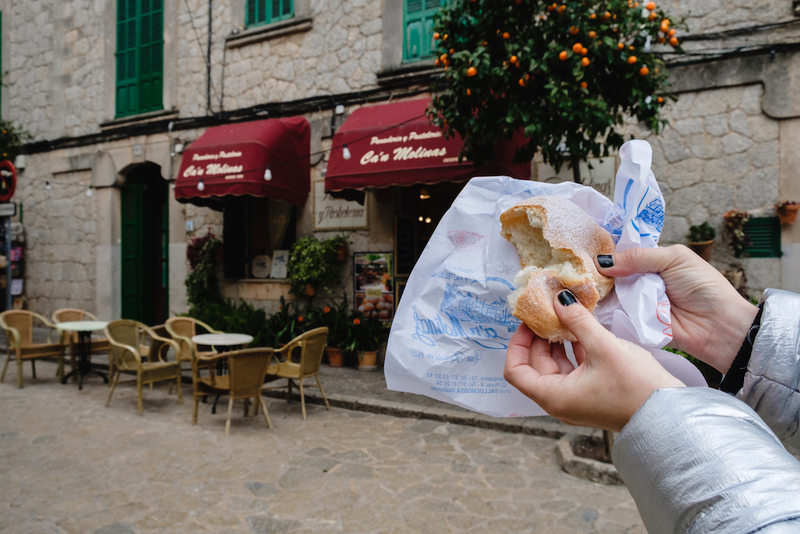 What is there to do in Valldemossa, you ask? Not an awful lot, but that’s kind of the point. Get yourself lost, stop for an over-priced coffee (€8 for a cappuccino?!) and be sure to try a traditional ‘coca de patata’ (a sort of potato bread sweetened with a fine dusting of sugar) at the historic Pastelería Ca’n Molinas. 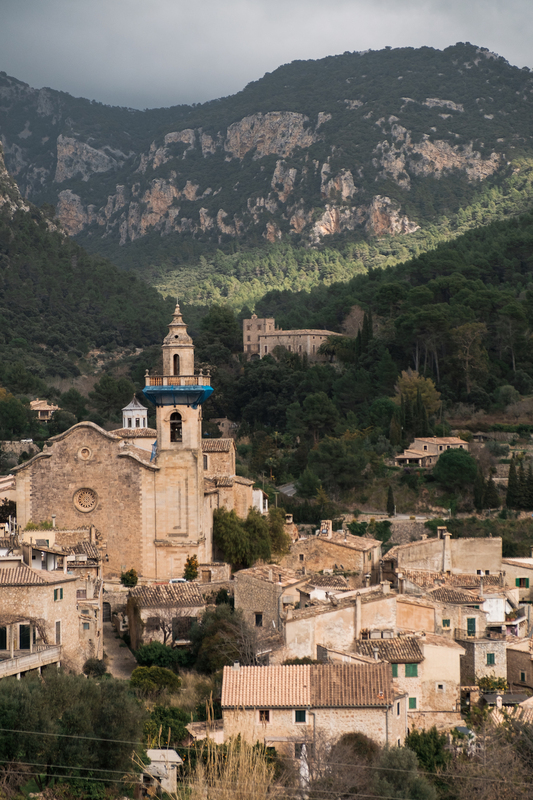 Tip: Valldemossa is a good place to base yourself if you want to make the most of the local hiking trails and/or escape the busy seaside resorts during the summer months. Although it’s no longer the ‘hidden gem’ it once was, the colourful fishing harbour of Port de Sóller is still one of the most idyllic nooks of Mallorca. 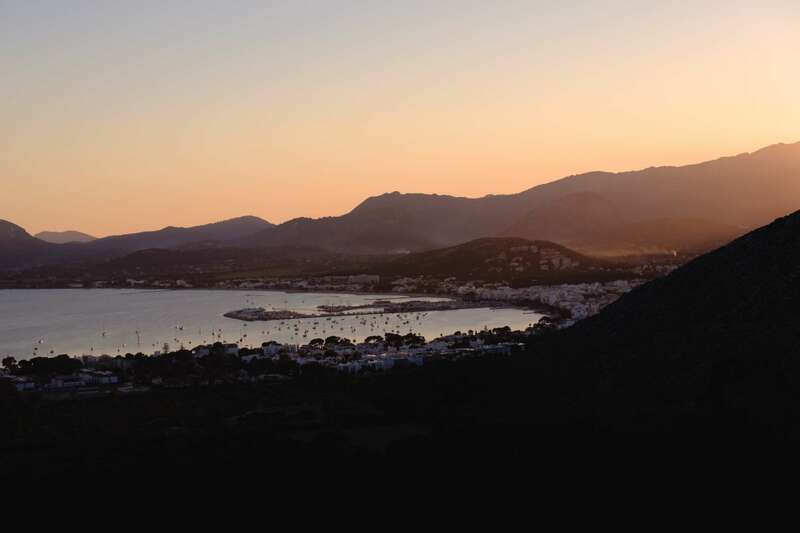 The beach is large and clean and the bay is hemmed in by the dramatic Tramuntana mountains. 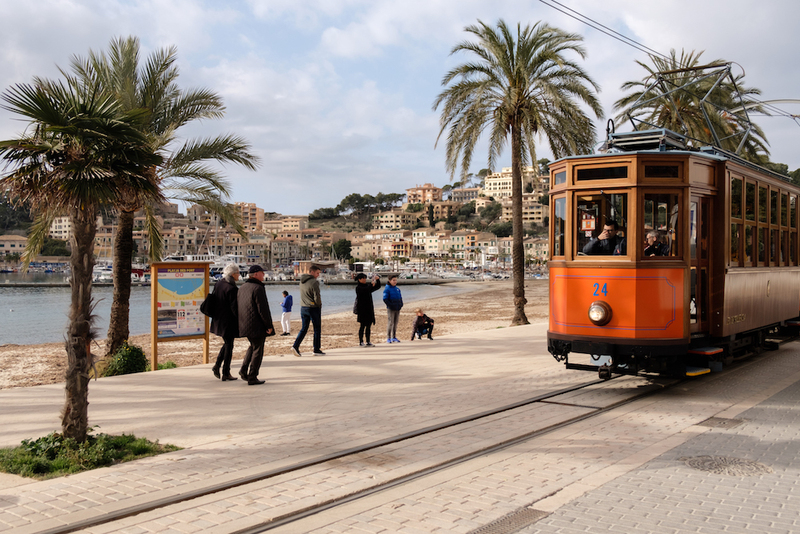 Get there: The best way to get to Port de Sóller is to jump on the historic ‘Red Lightening’ train from Palma to the inland town of Soller, which is also something of a beauty. 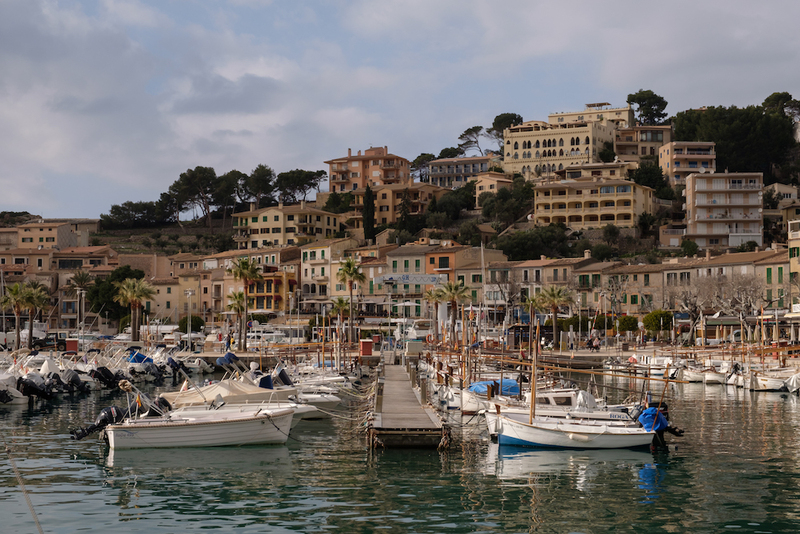 From Soller you can hop on the old wooden tram and wind your way through olive groves and endless rows of lemon and orange trees to Port de Sóller. One of my happiest memories from my youth was doing this journey with my dad, him dangling me out the window so I could try and pinch an orange off a tree. Then we drank chocolate milkshakes at one of the many cafes overlooking the water and pretended to read the newspaper. Happy days. This trip was equally fun. Rosana and I arrived too late for lunch so we ordered some sandwiches from a local deli – fresh baguettes stuffed with slices of crimson jamon and cheese – which we enjoyed on a bench in the sun with a couple of ice cold cans of Mahou beer. It’s the simple things. 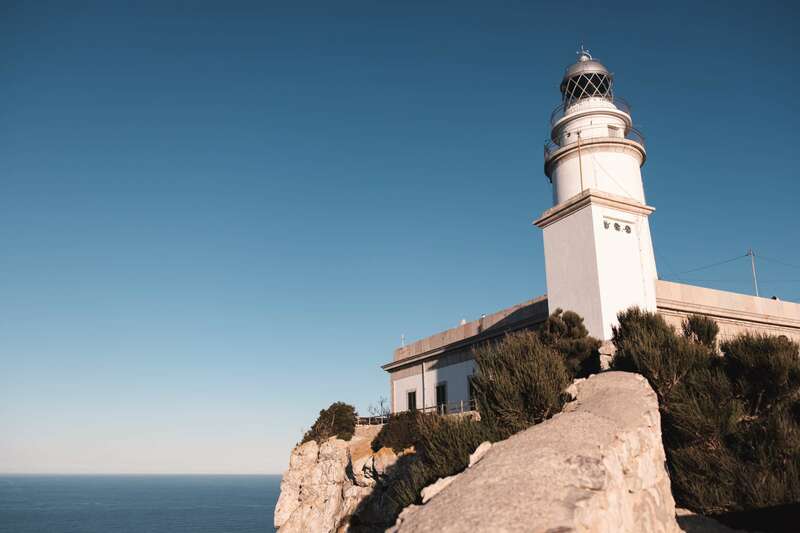 Tip: This excellent tour through the Tramuntana mountains includes a visit to Deía and Valldemossa, as well as the train from Palma to Sóller and tram to Port de Sóller. If you have the time, this is the way to do it. 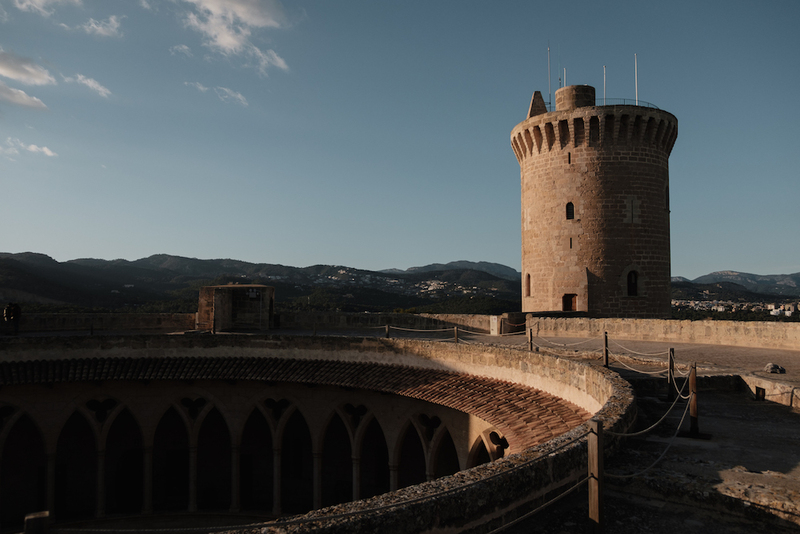 Translating as ‘beautiful view’ in Catalan, the 14th century Bellver Castle sits over 100 metres above sea level and offers some of the best views in Mallorca. 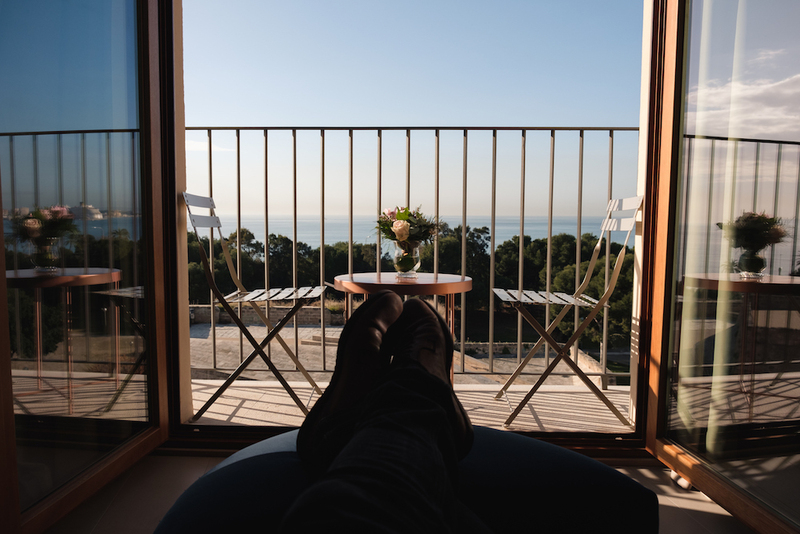 Look out over the city of Palma, the Serra de la Tramuntana and palm-fringed coastline, and count your blessings. 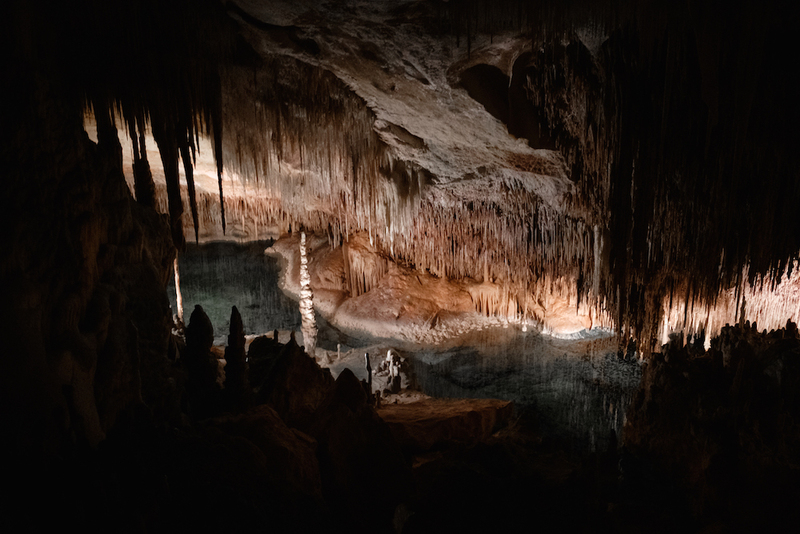 There are some 200 caves dotted around the island of Mallorca, but one of the best is the Cuevas del Drach, or ‘Dragon’s Cave’. The tour takes you through a series of vaulted chambers, every inch of which is dripping in ancient stalactites and stalagmites. The crescendo of the experience is a classical music concert held on a ethereal underwater lake. The violinists, cellists and pianist literally play from a little rowing boat. You can then hop on one of the little rowing boast and float across the lake on your way back to daylight. Get your tickets here (pick-up service included). Talking of perfect little beach towns, we arrived at Port de Pollença just as the sun was setting. It was as if the sea and sky became one. Soft shifts of purple and pink. A warm fading breeze. I’d recommend getting here a bit earlier and finding a bar or restaurant table from which to enjoy the spectacle. 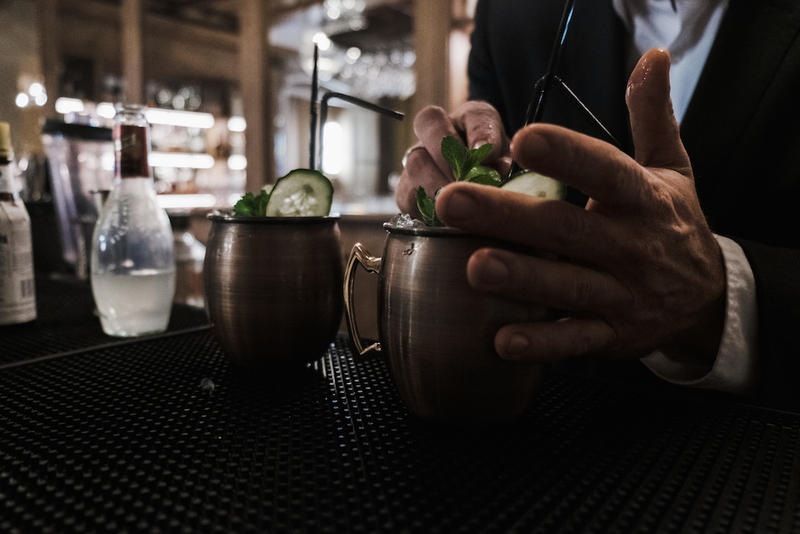 Mallorca has become increasingly stylish in recent years and it’s all thanks to places like Fera Palma. 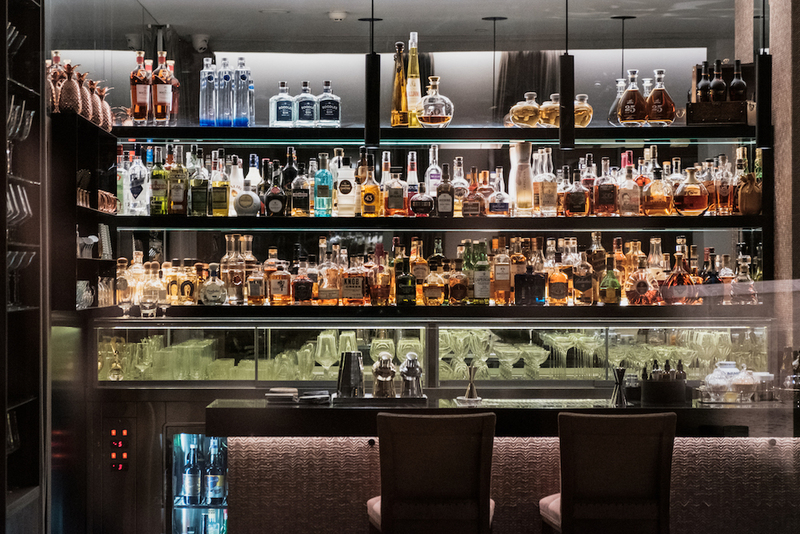 If you want to retreat somewhere to sink into a chair and spend an afternoon or evening sipping creative cocktails, this is the place. I enjoyed the rousing ‘Passion Fruit Sakerinha’, a zesty little number made with fresh lime, sake, and a few sprinkles of magic. The sushi is also spectacular, so this is the place to go when you crave something other than Spanish tapas (it happens to the best of us). Not because they were awful or anything, but simply because we were less inspired by these spots than other places we visited on the island. I would have much preferred to have had more time at Cala Portals Vells or the Faro de Formentor, for example. Port d’Alcudia. When you think of touristy ‘package holiday Mallorca’, this is pretty much what you envision. Magaluf. You’ve probably heard of the infamous party resort known as ‘Shagaluf’. Obviously this is something of a scar upon the beautiful island and best avoided, unless you fancy a night of sloppy delinquency with the dregs of Britain (I stayed twice in my youth so I’m allowed to say this). 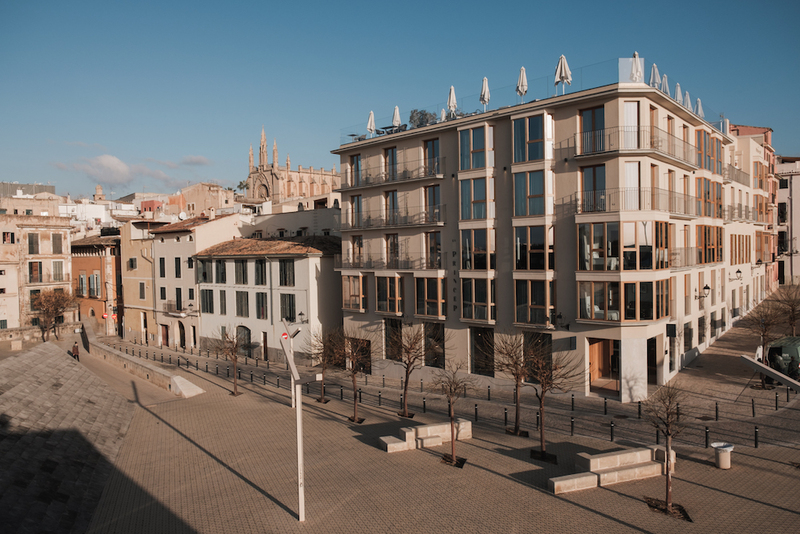 Perched on the seafront within stumbling distance of Palma old town, Es Princep Hotel is one of the most desirable 5-star hotels in Mallorca. It’s a supremely pristine property and feels brand new with its tasteful design and furnishings. But it’s also a family-owned hotel and you can feel this in the way the staff take such pride in the service they offer. The capacious lobby area is flooded with natural light and giant sofas tempt you to slow down and nose your way through the many books, magazines and newspapers on offer. It is built, quite literally, on the ancient ramparts that once encircled the city and is connected to the emblematic cathedral and Parc de la Mar by the idyllic Paseo Marítimo. 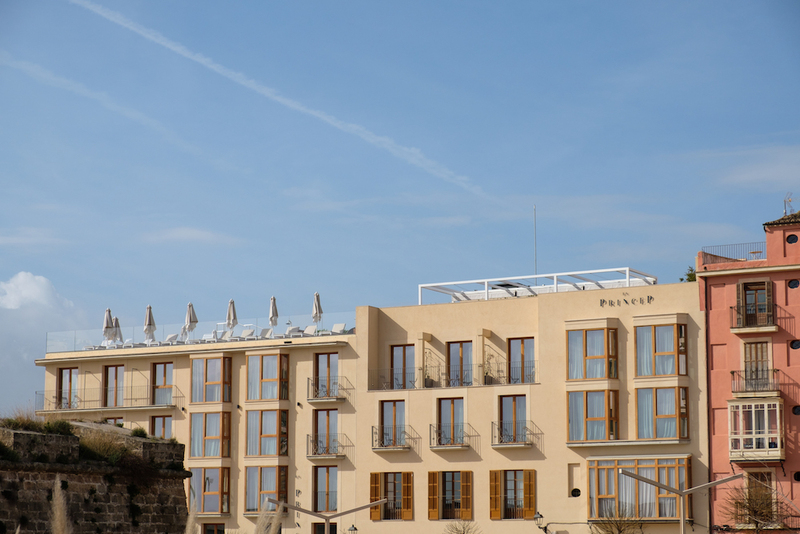 Most if not all of the rooms offer spectacular sea views of Palma Bay, while some also boast views of the old town. Waking up here in our huge bed and grabbing a coffee from the Nespresso machine to sip on the balcony was pure, unadulterated bliss. 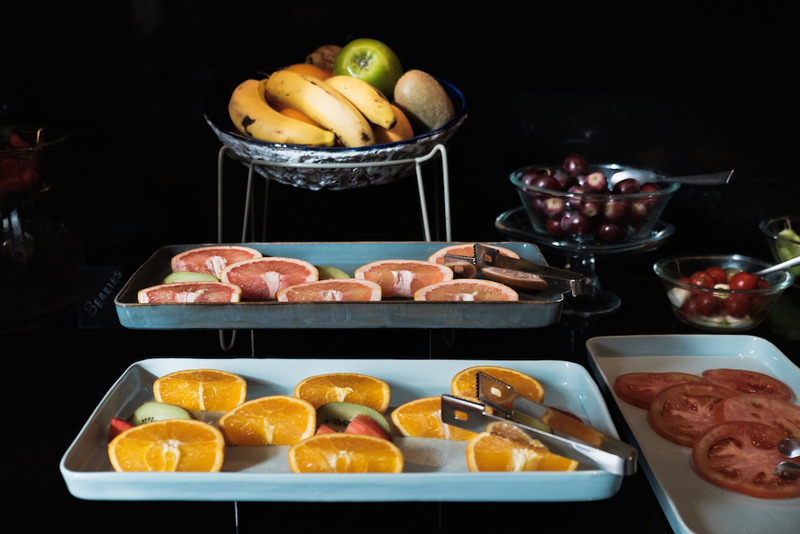 And I can’t think of a better way to start a day in paradise than with the divine breakfast of fresh fruit, pastries, cold cuts and juices. 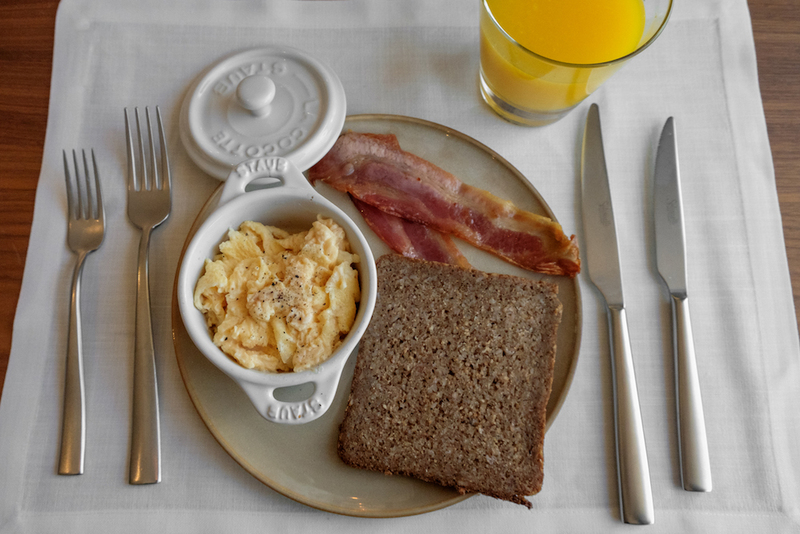 There’s also a full à la carte breakfast menu with a range of hot and hearty breakfast. The coffee is excellent. Or why not make it brunch and add a drop of bubbly to your OJ? As well as the two restaurants, including the stunning Bala Roja which I’ve mentioned above, there’s also a plush cocktail lounge and an idyllic rooftop terrace with an infinity pool (sunset cocktails anyone?). Sunset views over the Bay of Palma from Es Princep’s rooftop. Escape to the Cocô Oasis Spa for a spot of post-sightseeing pampering, or watch the sunset from your private balcony with something special from the minibar. We could easily have spent a whole week, or even two, without leaving the hotel. This is what luxury island living is all about. 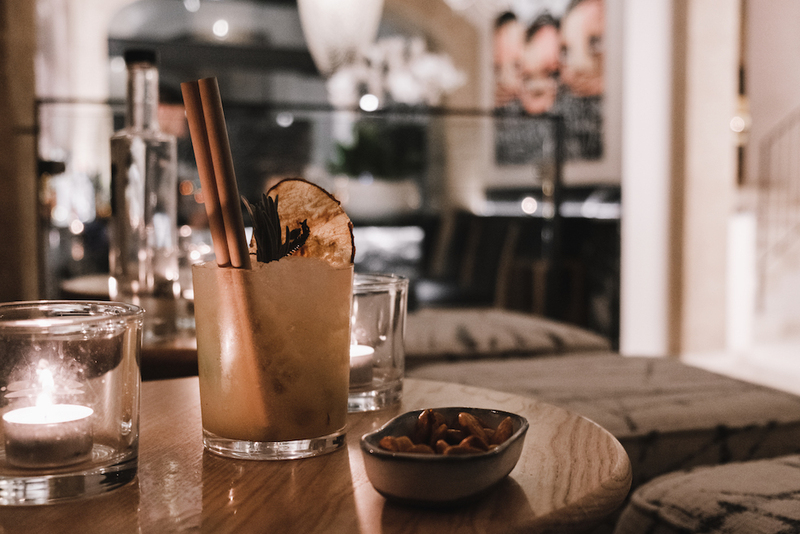 Tucked away on a narrow street right in the heart of Palma’s historic old town, just off the leafy Rambla, this intimate 5-star boutique hotel is all about ambience, style and seamless customer service. Rosana and I are the type of travellers that value people/service above all else. 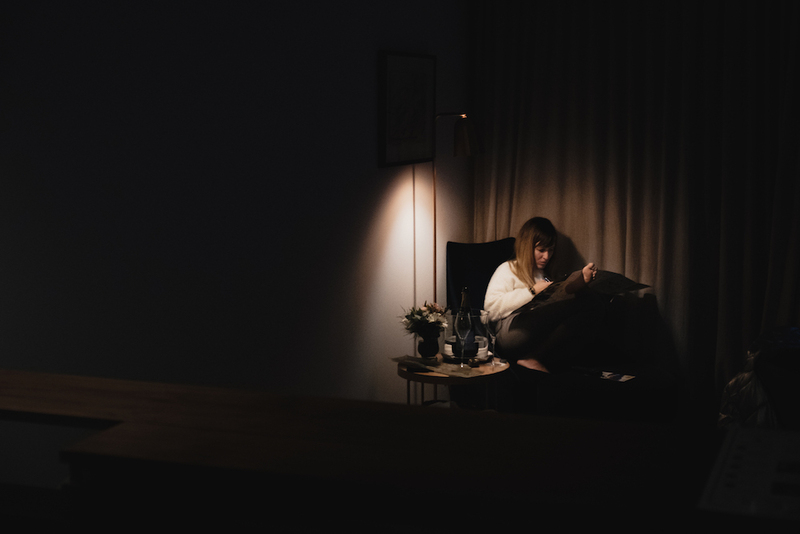 It’s always the staff that elevate your experience and the staff at Gloria de Sant Jaume were some of the most welcoming and professional we have encountered on our travels throughout Spain. 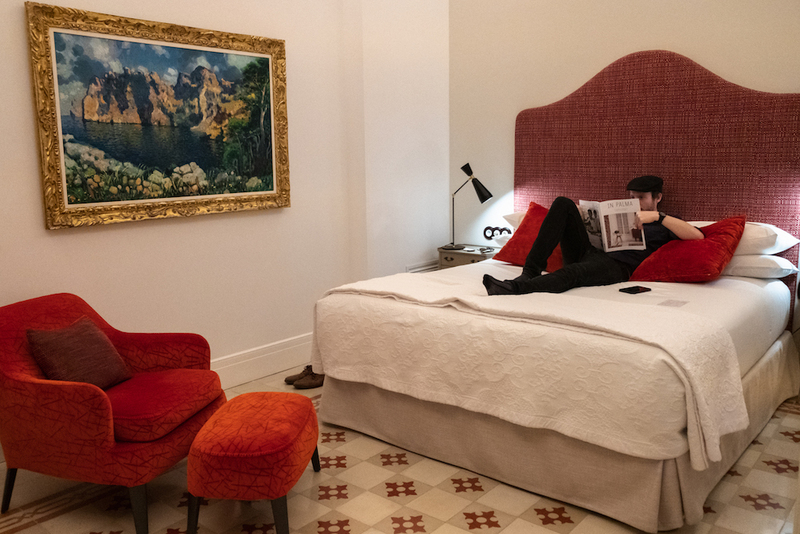 The hotel itself is set within 16th century sandstone walls of a noble residence and it still feels very much like you’re staying in a palace. At basement level, vaulted ceilings arch over a huge swimming pool, a sauna, steam bath and treatment room where guests can enjoy massages and various personalised wellness sessions. 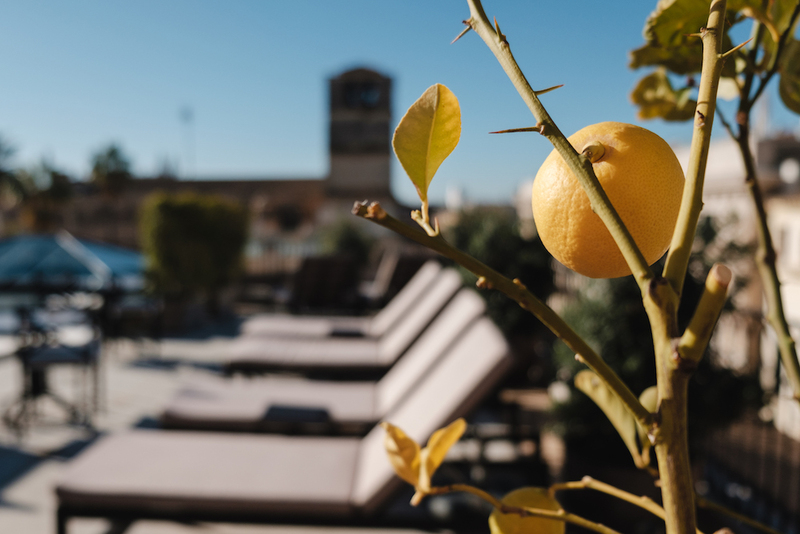 I was also very impressed by the leafy rooftop terrace, where lemon trees and sun loungers tempt you to spend the day with a good book and a few dips in the infinity pool to cool off. 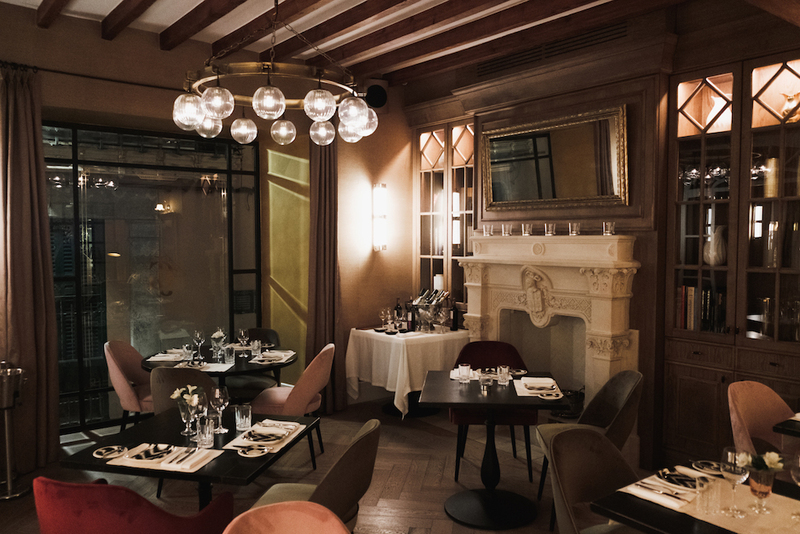 El Patio de Glòria, the hotel’s plush restaurant and bar, is the perfect place to indulge and unwind in the heart of the old town. The vibe is cool-but-casual and we loved chatting with the staff at the bar before dinner. 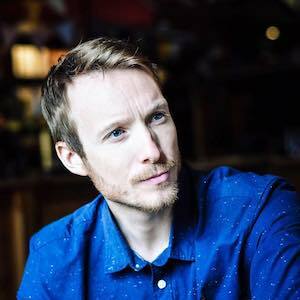 The menu is also exciting, drawing on seasonal ingredients and traditional Malloquín dishes, but with a touch of creativity and international flair (the chef is from Argentina and a lovely chap who’s happy to talk). 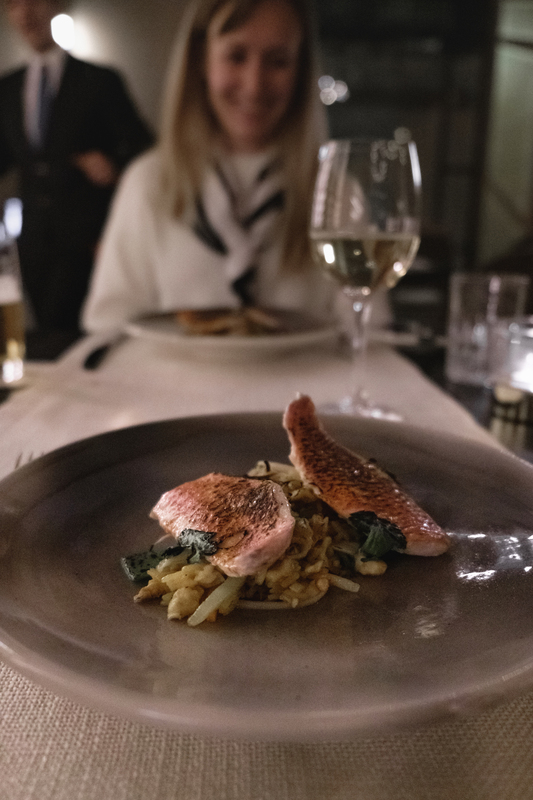 Don’t miss the red mullet and tiger prawns, which are flamed at your table, and definitely be sure to ask for a selection of wines to accompany each course. The spacious rooms are uniquely designed and furnished in such a way that you feel almost at home. At home in a noble Spanish residence, that is. 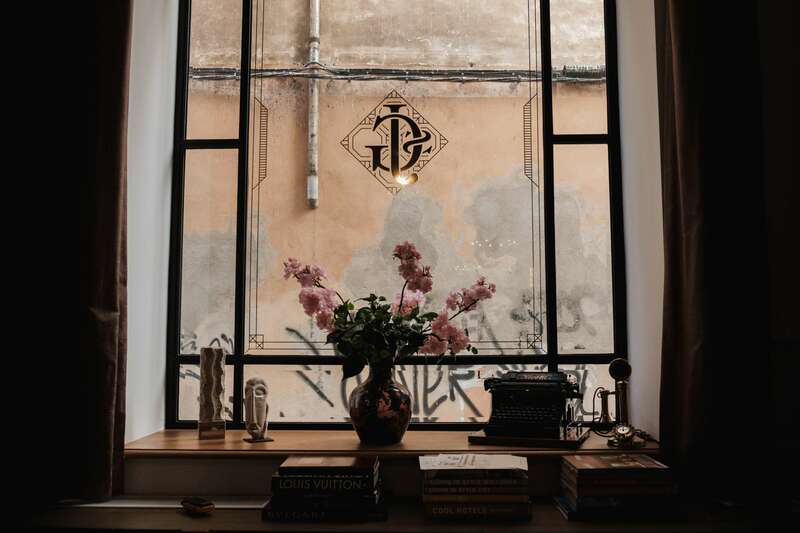 If you’re looking for a healthy dose of romance and luxury right in the heart of Palma old town, Hotel Gloria de Sant Jaume is for you. If you want to explore all or most of the places in this post then you’ll definitely want to rent your own car. There are tons of big-name and local rental car companies on the island and you can collect your car at the airport. Driving in Mallorca is easy enough but be careful where you park – we got a parking ticket because we misread a a sign. Are you going to Mallorca? Or have you already been? Join me on Facebook, Instagram and Twitter and let me know about your experiences!